Kelli Sinner is an artist and educator living in northern Minnesota. Originally from Utah, Kelli received her BFA from Utah State University and her MFA from Penn State University. Kelli Sinner is currently a Professor of Ceramics at Minnesota State University Moorhead where she teaches ceramics, papermaking and foundation design. In 2015 she received MSUM’s Excellence in Teaching Award. 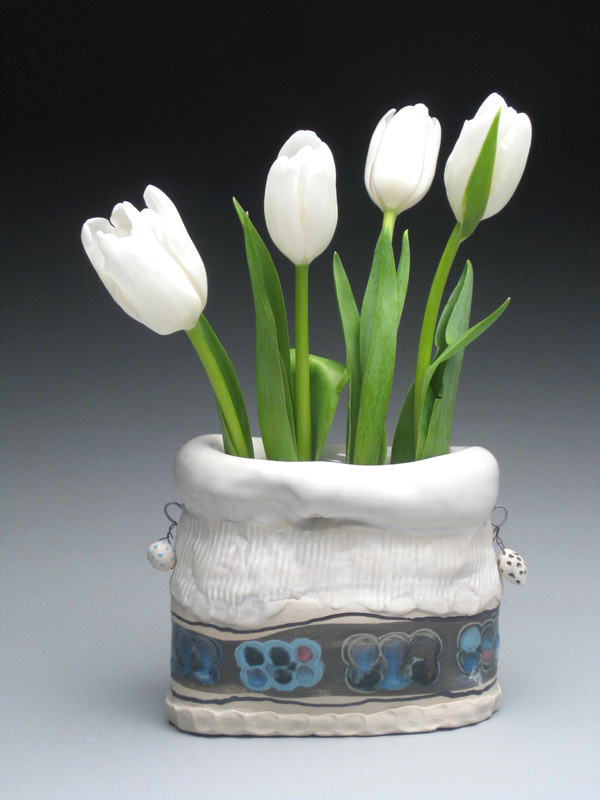 Before moving to Minnesota, Kelli worked in New York City where she taught ceramics at Marymount College Manhattan, the 92nd Street Y, and the Educational Alliance. Kelli has completed artist residencies at the Zentrum fur Keramik in Berlin, Germany, and the Letterpress Residency at Penland School of Craft in Penland, North Carolina.